Microsoft came out with a new set of Windows 10 emoji recently. 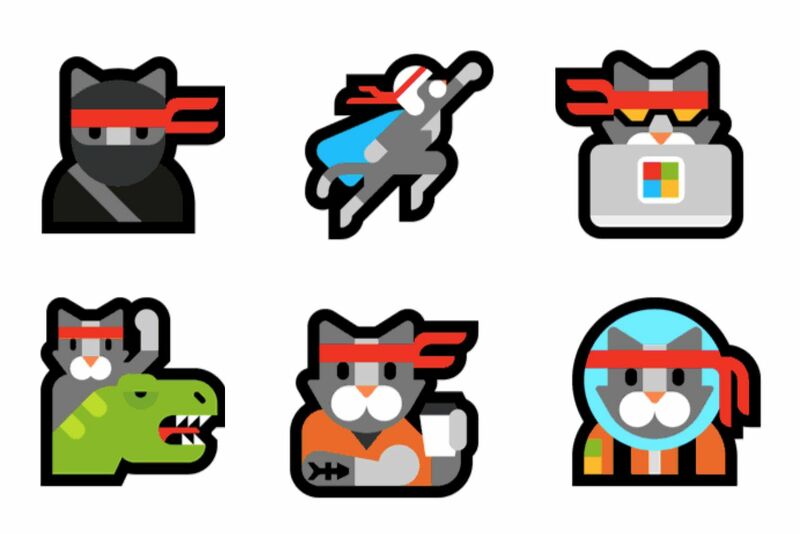 It is apparent that 6 new emoji will be exclusive to Windows 10, and they all feature the Windows ninja cat. Now, we writers and workers on the site, are tech ninjas, so I thought it would be funny and appropriate to write about this awesome and very important update. On the Windows 10 Anniversary Update, you can combine the cat emoji with other emoji’s in order to see different emoji combinations. The secret additions to Microsoft’s Windows 10 emoji’s include: basic ninja cat, it flying, at a computer, riding a T-Rex, drinking coffee, and in space. The ninja cat emoji was discovered about a year ago, and has turned into a Windows meme. Microsoft has had fun with their ninja cat and apparently will continue using it. Just a brief disclaimer, although this article was news, I also wanted to have a little fun with this one, as it is very fitting to the theme of the site. Stay tuned for more REAL tech news! Next article Microsoft Outlook: Now Available on Android Wear!